In 1983, the People’s Revolutionary Government (PRG) enacted 2 important pieces of legislation. One was the National Insurance Act (NIA) which was intended to introduce a National Insurance Scheme to be completely responsible for the payment of age pensions and other benefits to all workers. The other was the Pensions (Disqualification) Act (PDA) which was intended to disqualify all public officers who were appointed after 4 April 1983, from being entitled to pension benefits under the Pensions Act of 1958 and other related Acts. As a consequence of the above, several public officers were disadvantaged over the years with regards to their pension benefits and several cases had to be determined by the courts. The latest judgment in this regard was dated 15 October 2012 and was given in the High Court by Justice Price Finlay in the case of Hermilyn Armstrong vs the A G and the Minister of Finance. The Claimant Hermilyn Armstrong was appointed to the public service on 17 May 1983, and retired on 28 August 2009. Despite the PDA she claimed that she was entitled to pension benefits under the Pensions Act and not under the NIA. She relied on section 92(2)(b) of the Grenada Constitution which provides that the law to be applied for entitlement to pension benefits is the law which is in force on the date on which the period of service commences. The case was made out that the PDA being proclaimed by an unconstitutional regime was unconstitutional and invalid at the time when she was appointed. She therefore claimed that the Act could not disqualify her from being entitled under the Pensions Act. Pension benefits under the NIA were much less favourable to Armstrong than under the Pensions Act. Under the Pensions Act, Armstrong was entitled to $1134.43 per month and a gratuity of $56,724.59. Under the National Insurance Act, she was only entitled to approximately $880 per month with no gratuity. Judgement was ultimately given in favour of Armstrong. There was no appeal. Significant questions which may be asked therefore are: Is the Pensions (Disqualification) Act a valid Act? What are the implications regarding public officers who retire from the public service? In the case of Mitchell and Others vs DPP 1985 (sometimes called ‘the Maurice Bishop murder trial’) the Grenada Court of Appeal led by President Haynes ruled that although the PRG attained de facto status between 1979 and 1983, it never became a de jure government as it could not be determined categorically that it achieved legitimacy. There was no general election or referendum indicating such legitimacy. As a consequence it was concluded that the PRG could not make valid laws. Therefore at the time the PDA was purportedly enacted by the PRG, it was an unconstitutional and invalid Act. The Courts in the Republic of Fiji have subsequently given support to the principles which were established by the Mitchell case by way of 2 cases: Republic of Fiji vs Prasad (2002) and Qarase vs Bainimarama (2009). These are still the prevailing principles in common law jurisdictions. 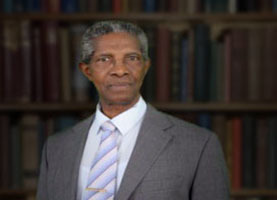 Notwithstanding the above, following the demise of the PRG in 1983, the constitutionally elected government of Herbert Blaize was sworn in in 1984. Soon after that it passed the Confirmation of Validity Act No 1 of 1985 which Act sought to validate all the Proclamations, Orders and Laws which were passed by the PRG including the PDA. As a consequence, the PDA became clothed with validity as from the date on which the Confirmation of Validity Act was gazetted, which was 22 February 1985. It follows therefore that the PDA was invalid from 4 April 1983 to 22 February 1985. As a consequence, Hermilyn Armstrong who was appointed on 17 May 1983 could not have been affected by that Act, and was therefore entitled to pension benefits under the Pensions Act which was the effective Act at the time of her appointment. (See section 92(2)(b) of the Constitution). It is submitted that the PDA is now a valid Act but could only affect persons who were appointed to the public service after 22 February 1985. Section 92 (2) (b) of the Constitution envisages such a situation. However in a case where it conflicts with any constitutional provision, it would be considered to be invalid to the extent of the conflict in accordance with section 106. For example, as determined by the Court of Appeal in the case of Irvin Mc Queen vs Public Service Commission (1997), the PDA cannot prevent public officers who are required to retire on abolition of his or her office or for the purpose of reorganisation of any ministry from being entitled to pension benefits under the Pensions Act. Section 84 (8) of the Constitution has been interpreted to mean that this provision is entrenched and creates a right ab initio specifically providing for this category of public officers and which right cannot be altered by a simple statute. The Pensions Act was the effective Act at the birth of the Constitution. That benefit cannot be reduced by statute to the detriment of those public officers. For any change to be made in this regard it must be done in accordance with section 39 of the Constitution which includes the holding of a referendum.